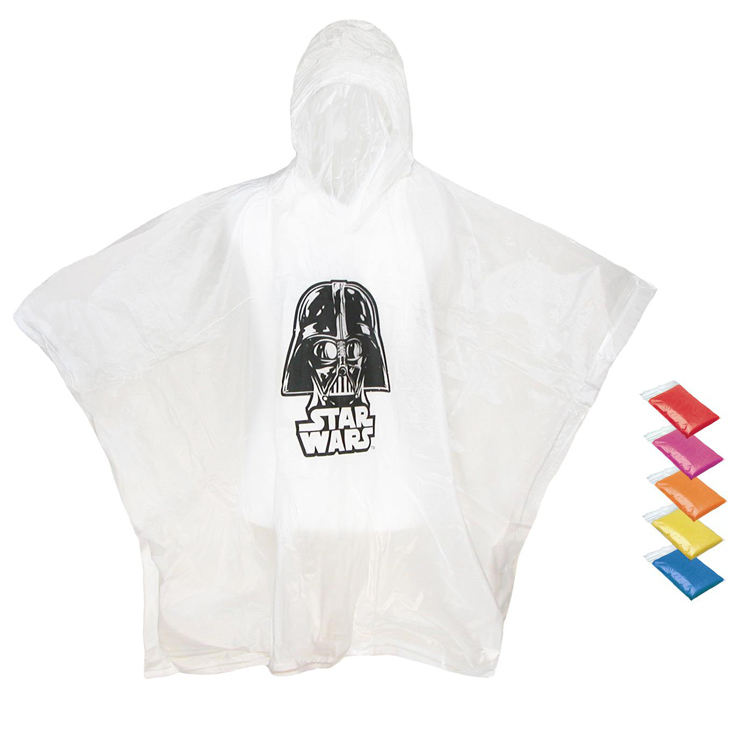 Disposable rain poncho is made of 0.02mm thickness PE. Adult size, one size fits all. It is very easy to use. Never be caught without a raincoat again with this travel water proof poncho. Our light weight emergency rain poncho that is great for an inexpensive giveaway. Product Colors: White, Blue, Brown, Orange, Purple, Black, Gray, Red, Yellow, Green, Pink. Imprint Size: 12" x 12"
Package: 1 pcs/poly bag, 200 pcs/ctn, 19 lbs/ctn.